Home Guides What Are My Responsibilities as a CIS Builder? If you’re a self-employed builder, you may be familiar with the Construction Industry Scheme (CIS). Our short guide is here to tell you what why you should register and what your responsibilities under CIS will entail. Nice one, Brian! The Construction Industry Scheme is a way of taxing contractors and subcontractors in the construction industry. The initiative was created as a way of minimising tax evasion and protecting construction workers from false employment. Under the scheme, contractors must deduct tax and National Insurance contributions directly from their subcontractors’ payments and pass it to HMRC. You can find out more about the CIS here. Why should I become a CIS builder? Under the CIS, a contractor must deduct 20% from your payments and pass it on to HMRC. These deductions count as payments towards your tax and National Insurance bill. Subcontractors don’t have to register, but payments will instead be calculated at 30% if they choose not to. Do I qualify for CIS? If you’re a self-employed subcontractor working in the construction industry, you will need to register through HMRC with your National Insurance number and Unique Taxpayer Reference. What are my responsibilities under the scheme? As a contractor, you must register under the scheme before you take on your first subcontractor and you must register all employees with as CIS before you start work. 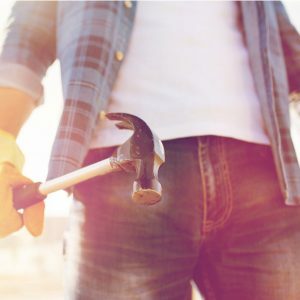 If you take on subcontractors on, it’s your responsibility to establish whether they’re employees on a payroll (which included PAYE and NIC deductions) or self-employed. Your subcontractors won’t be able to get paid until you have registered them with HMRC. If you become a CIS subcontractor, you will need to send invoices to your contractor who will deduct 20% for tax (rather than the 30% tax if you do not register). You will also need to submit an annual self-assessment to HMRC declaring all earnings and expenses. The rules surrounding tax aren’t always easy to understand, so it’s important to have a helping hand. Here at Brian Alfred, we’re experts in tax, so you can rest easy knowing we’ll always provide the best advice possible. To find out how we can help, drop us a line on 0800 470 1090 or visit our contact page.